Brother DCP-J525W Printer Ink Cartridges. 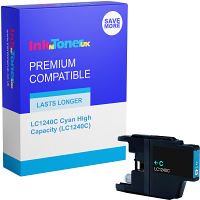 Like all other printers, eventually your ink cartridges for your Brother DCP-J525W printer will run out of ink to print with. 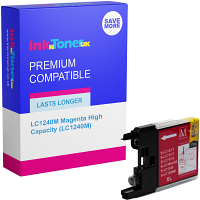 Fortunately for you inkntoneruk have everything you need to take care of all your Brother DCP-J525W printer ink cartridges. Cheap Brother DCP-J525W Printer Ink Cartridges. 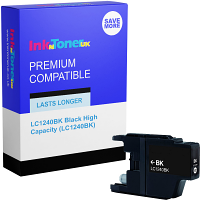 With all our Brother DCP-J525W ink cartridges coming with our unbeatable price promise its easy to see why you should buy from inkntoneruk today. If you manage to find your Brother DCP-J525W ink cartridges cheaper somewhere else then let us know and we will refund double the difference! Value Brother DCP-J525W Printer Ink Cartridges. 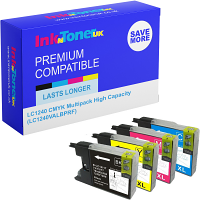 With all our Brother DCP-J52W printer ink cartridges coming fully guaranteed to give the best printing results, it's easy to see why you should buy from inkntoneruk. 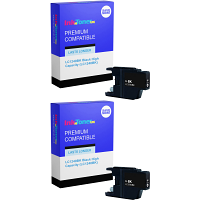 Buy today and get Brother DCP-J525W ink cartridges which give you: High quality printing output Consistent and reliable printing performance Superb lightfastness and durability Bright vivid colour and deep blacks Remember to bookmark us for the next time you need to buy Brother ink cartridges for your Brother DCP-J525W printer and see how much you can save.